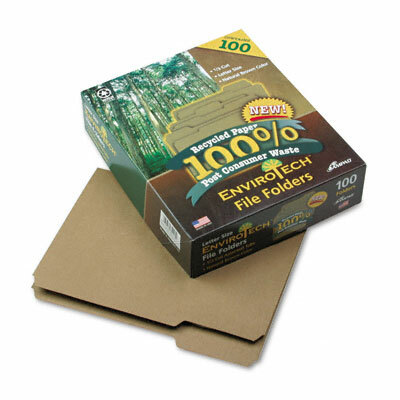 Envirotech™ file folders are created with 100% post-consumer recycled material. 1/3 cut tabs in assorted positions. Environmentally and office friendly files. Envirotech™ file folders are created with 100% post-consumer recycled material. Letter size; 1/3 cut tabs in assorted positions. 11 pt. stock. Natural brown.